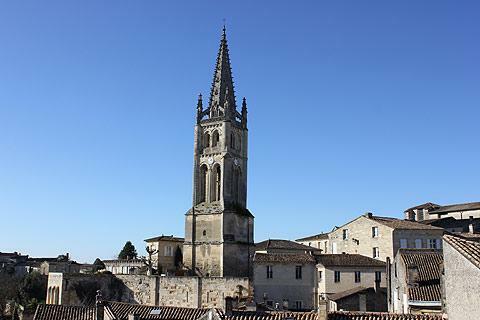 Saint-Emilion is a town 35 kilometres east of Bordeaux in the Gironde department and in the Aquitaine region of south-west France. 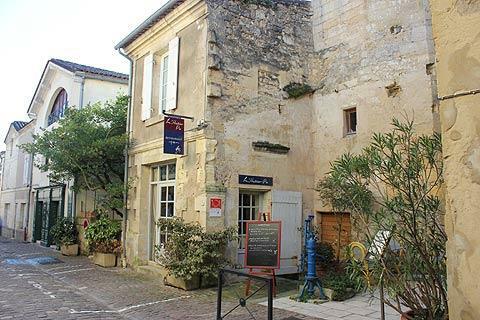 It is best known (indeed renowned the world over) for the vineyards which surround the town, Saint-Emilion being one of the four Bordeaux red wine regions, but is also an exceptionally attractive small town. 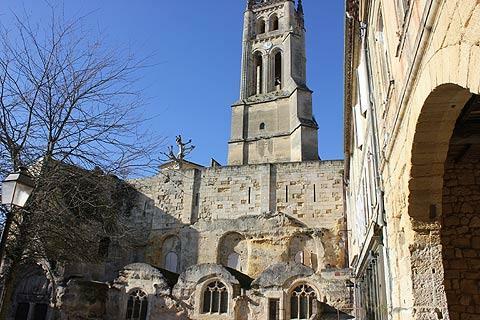 The history of the town dates back almost 2000 years when the Romans planted vineyards here as early as the 2nd century AD, while Saint-Émilion itself dates from the 8th century when a Breton Monk called Emilion came to settle here in a hermitage carved into the rock. The cave where he lived from 750 - 767 AD subsequently became a pilgrim destination. 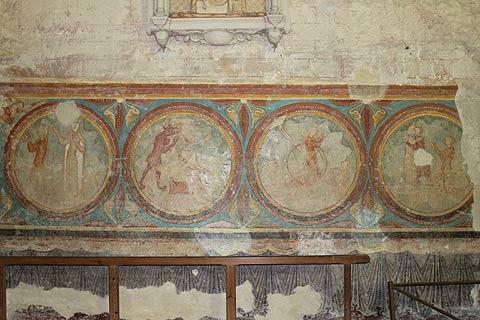 The tour also includes the Chapelle de la Trinité which contains some well preserved medieval frescoes. This tour takes about 45 minutes and is highly recommended. Emerging back into the daylight there are plenty of cafes, restaurants, artisan shops and boutiques to keep you entertained if the historical interest starts to wane. 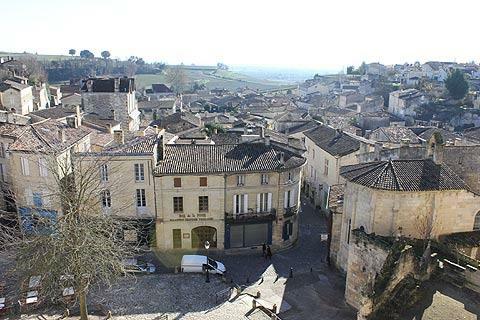 France This Way comment: the town has managed to avoid the surrounding development that might have spoiled it, and now Saint-Emilion and the surrounding region is a listed and protected UNESCO 'World Heritage Site', so future development is more or less impossible. 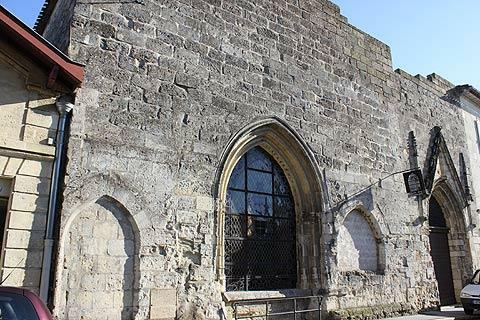 Note: I noticed in the Saint-Emilion tourist brochure that they give some 'Helpful Hints', and the very first of these is "Ladies, try to avoid high-heeled shoes as some of the streets are steep and paved with cobblestones". Good advice I'm sure, although I don't remember so many holidaymakers teetering around in high-heeled shoes! 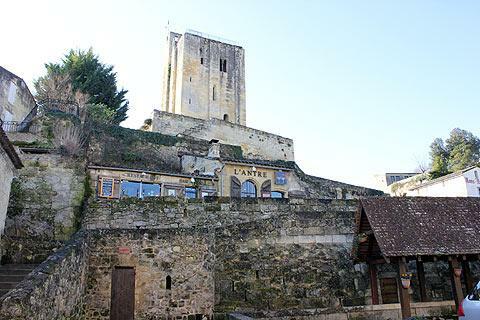 For wine enthusiasts no trip to Saint Emilion would be complete without a visit to one or more of the local wine chateaux. 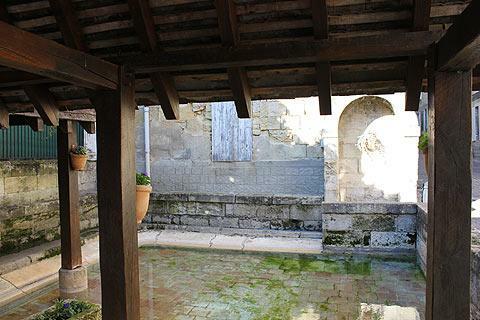 There are several of these that welcome the public for wine tasting - ask for details at Saint-Emilion tourist office. 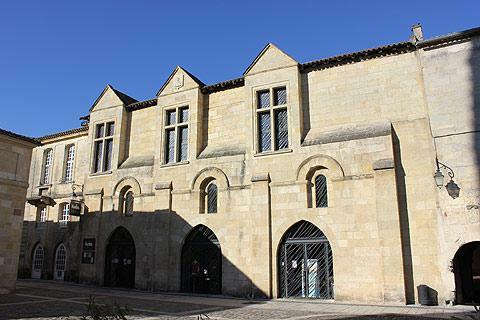 The tourist office also offer guided tours to a local wine chateau if you are a bit nervous about just driving up to one yourself, and also courses in wine tasting based in the 'Saint Emilion wine school' are available. If all that sounds a bit serious just buy a bottle of wine in one of the local shops and enjoy it with a picnic! As a rough guide to the Saint-Emilion wines; the best are the Premier Grand Cru Classées though these will set you back some hundreds of euros, next best are the Grand Cru Classées and then the Grand Crus. However even your non-Grand Cru Saint Emilion wines tend to be very good so don't be put off if your purse is not big enough for the Grand Cru Saint-Emilion wines! 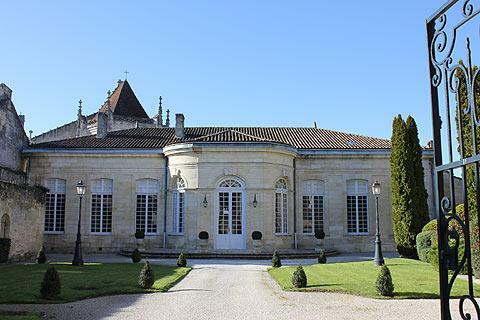 There are numerous wine chateaux nearby and some lovely countryside, but if you are not just here for the wine-tasting the one problem with Saint-Emilion is that there are a limited number of other attractions very close by. 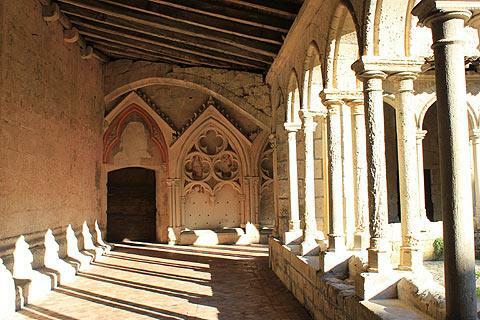 Sainte-Foy-la-Grande is a pleasant town to explore and Libourne deserves a stroll but the more noteworthy towns in the region such as Bordeaux to the west and Bergerac to the east are a bit further. I would suggest that the best way to visit is to stay further east, perhaps near Bergerac or Eymet where there are more medieval towns and villages to visit, and then make a day trip to enjoy the highlights of Saint-Emilion rather than actually plan to spend a week or two at Saint-Emilion itself - or book a night or two in a hotel here if your arrangements allow it.